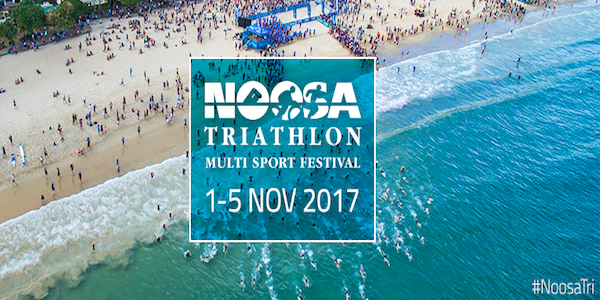 In less than two months, Xtreme Carbon will be attending one of our favourite events on the triathlon calendar – The Noosa Triathlon Multi-Sport Festival. Celebrating its 35th anniversary, this event is one not to be missed. The Noosa Triathlon is so popular, some categories have already sold out. However, there are still plenty of opportunities to participate, so be a part of the Largest Olympic Distance Triathlon in the world and enter today! The much-hyped Noosa Triathlon is a Multi-Sport Festival, meaning there’s events suited to all ages and abilities, as well as plenty of inspiring activities for spectators. The children’s events are definitely some of the motivating and enjoyable to watch! Check out some of the highlights from last year’s festival in the video below. The Noosa triathlon is spread over 5 days, from 1st November to 5th November, giving you the opportunity to soak up Noosa’s sun, sea and surf when you’re not competing. The focus of the festival is health, fitness and fun, and there’s a real welcoming and cheerful atmosphere in the town. If you’ve already enrolled, arranged your travel and accommodation, the next step is to purchase your official Noosa Triathlon Official Merchandise! Keep those memories fresh with a t-shirt, vest or hat, available in a range of sizes and colours. Xtreme Carbon is pumped to be a part of the Noosa triathlon again this year. We’ll be exhibiting our range of triathlon and time trial wheels, so you can see in person how incredible they are! Wheel Hire is also available for this event and you can choose to have your wheels shipped or pick them up at the festival. Contact us today to arrange your wheel hire before we run out!